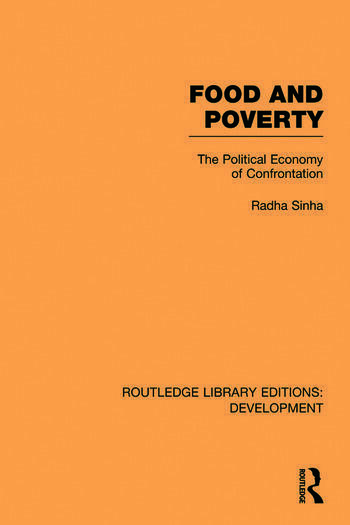 First published in 1976, this book deals with contemporary tensions between the West and the Third World, caused by hunger, malnutrition and poverty, perpetuated by an imbalance in the distribution of world resources. The book deals with the issue of malnutrition in the Third World, which owes much more to poverty and unemployment than to agricultural failure. The author also believes that population control can do little in the absence of a more equitable distribution of world resources and political power within and between countries involving a fundamental change in ideology and education. This is a challenging and critical book, whose arguments cannot be ignored by anyone concerned with the creation of a just and stable world order.